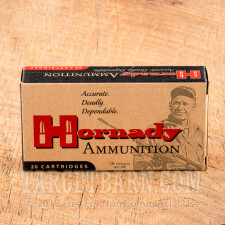 Founded in 1949, Hornady Ammunition began as a simple two-man operation. From that humble foundation, Hornady has evolved into a world innovator and top producer of high-performance ammo. All of Hornady's Custom ammunition is inspected by hand to ensure the highest levels of quality control to provide shooters the advantage of hand-loaded precision in a factory round. 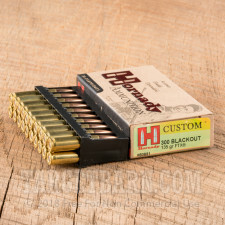 This package contains 20 rounds of Hornady Custom 300 AAC Blackout ammunition. 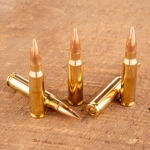 Each round is loaded with a 135 grain FTX projectile. The patented Flex Tip projectile features a special polymer tip for controlled expansion. 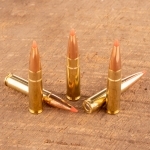 The bullet also incorporates a unique interlock band to prevent jacket/core separation and deliver deep target penetration. 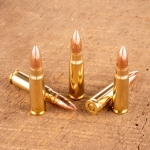 This new production ammunition is loaded in non-corrosive brass casings with boxer primers. 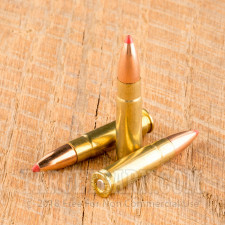 Each round delivers a consistent muzzle velocity of 2085 feet per second with 1303 foot pounds of energy. 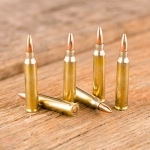 Engineered for AR-15 platform rifles, this cartridge is compatible with firearms chambered in 300 AAC Blackout. With controlled expansion, enhanced accuracy, and deep penetration, these loads are ideal for hunting and personal protection.